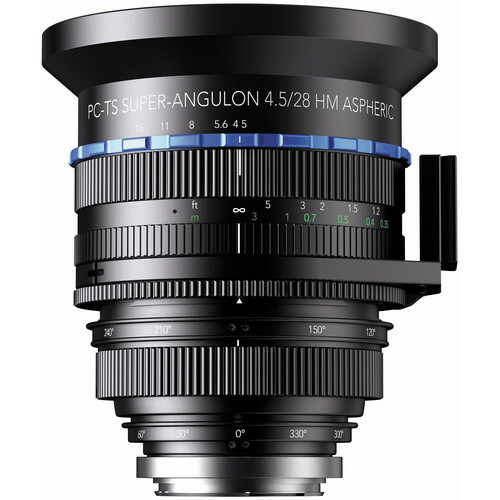 A versatile wide-angle prime designed for photographing interiors, architecture, and tabletop subjects, the Sony A-mount PC-TS Super-Angulon 28mm f/4.5 HM Aspheric Lens from Schneider offers both tilt and shift controls for adjusting focus, depth of field, and perspective distortion. Two rotary controls permit independent control over +/- 12mm of shift in any direction and +/- 8° of tilt in any direction, and an image circle of 72mm affords even illumination across the entire sensor plane. One aspherical element is featured within the optical design to control spherical aberrations and a multicoating has been applied to reduce flare and ghosting for increased contrast. Additionally, a rotating tripod collar with base plate permits seamless attachment to a tripod and an integrated lens shade protects the front lens element and enables the use of 122mm threaded filters. 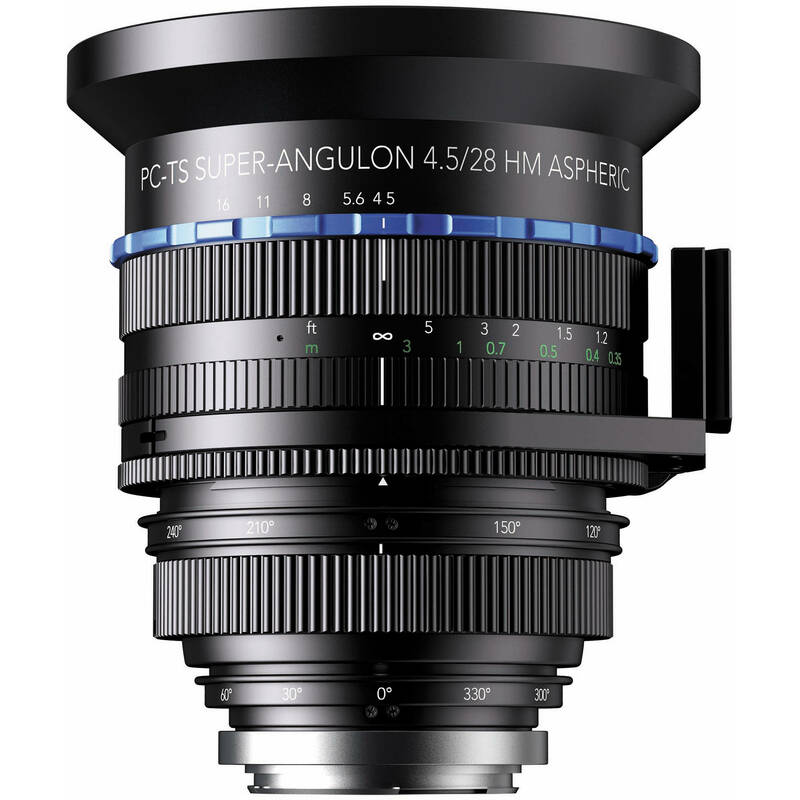 Wide-angle prime tilt-shift lens designed for full-frame-format Sony A-mount DSLRs, this lens can also be used on APS-C models where it will provide a 42mm equivalent focal length. Perspective control design affords up to 12mm of shift in any direction and 8° of tilt in any direction in order to allow for the use of Scheimpflug techniques for greatly extending depth of field. These movements also permit correcting for perspective distortion or producing creative selective focus imagery. Shift and tilt controls are independent of one another, and both can be applied using dedicated 360° rotary mounts for greater control. Image circle diameter of 72mm at f/8 ensures even illumination across the entire 24 x 26mm image sensor, even with full movements in use. One aspherical element reduces spherical aberrations for improved sharpness and clarity. Multi-coated elements suppress lens flare and ghosting for increased contrast and color neutrality. 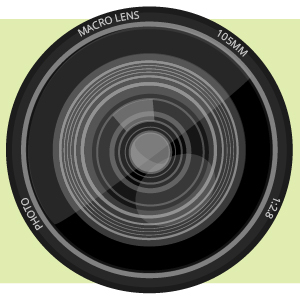 Manual focus control affords a minimum working distance of 5.9" along with a maximum magnification ratio of 1:6.25. Rotating tripod collar features an integrated base plate with both 3/8"-16 and 1/4"-20 threaded mounts. Built-in lens shade protects the front lens element, guards against lens flare, and is threaded to accept 122mm filters. Box Dimensions (LxWxH) 9.7 x 9.6 x 8.5"